Let me start by saying that I would not do try it. I Actually already did and it died! Middle Georgia is under the worst drought conditions that many have ever seen. This would say that this is coming at a bad time, but it has been here for quite some time. This drought significantly impacted our warm season agronomic crops, fruits, vegetables and nuts as well as forages, landscapes, timber and wildlife. The conditions are also putting an almost complete halt on planting wheat or other small grains. The optimum planting window for our area is either one week before or one week after November 17th (our average first frost date). Well, that came and went last week. As we move away from that planting window we begin to gradually lose yield potential. 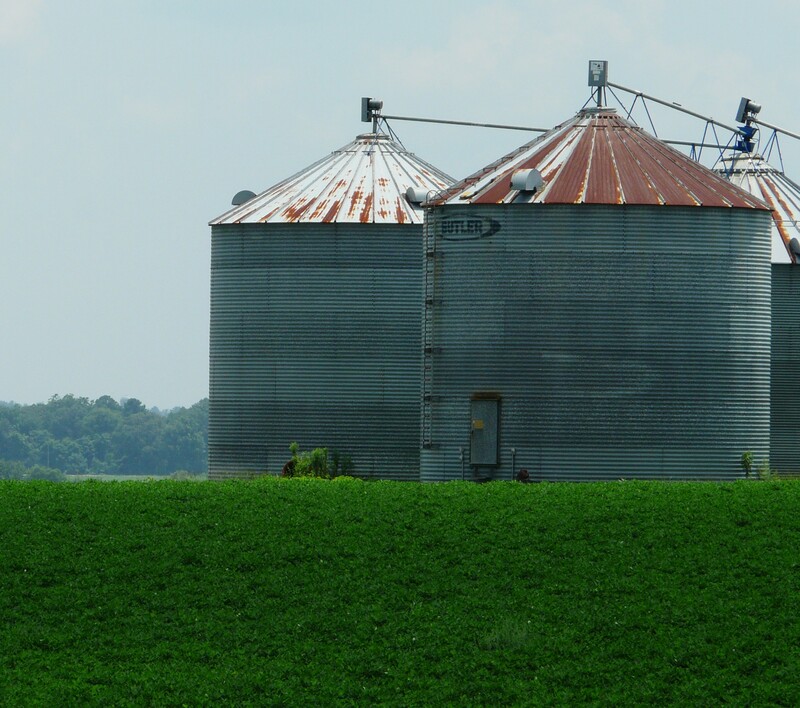 If you wait just two weeks you can easily lose 10 bushels, and easily 20 if you can’t plant until the end of December. If the dry weather is going to continue, and it appears it will, we should treat the fields like we are planting beyond the optimum plant date. 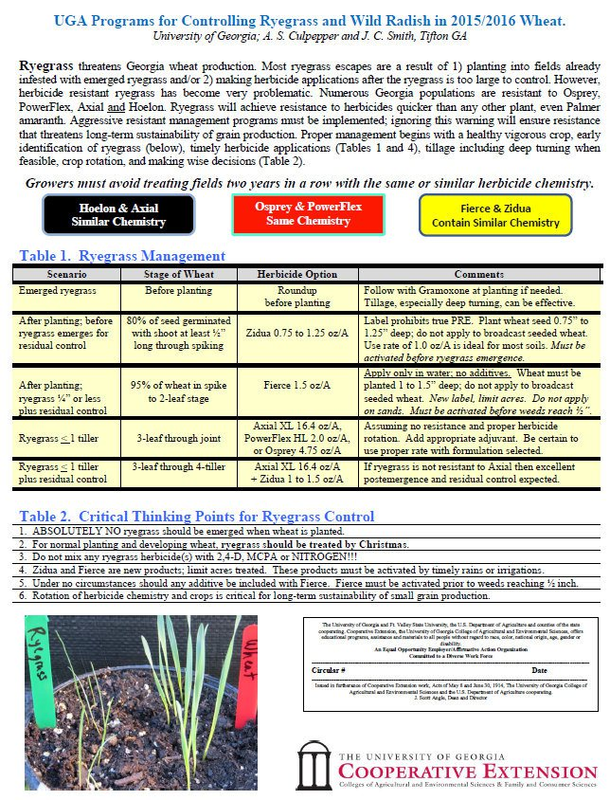 It may be beneficial to up seeding rates and if add a seed treatment fungicide. Starter fertilizers would also be a good idea if prices were better, but I can’t tell anyone to fertilize a crop that may not emerge. The higher seeding rate is to account for reduced tiller production and the seed treatment should help that seed wait on a rain for a longer period of time. Like I said earlier if we get some small showers it could cause seed to germinate but be unable to reach subsoil water resulting in plant death. 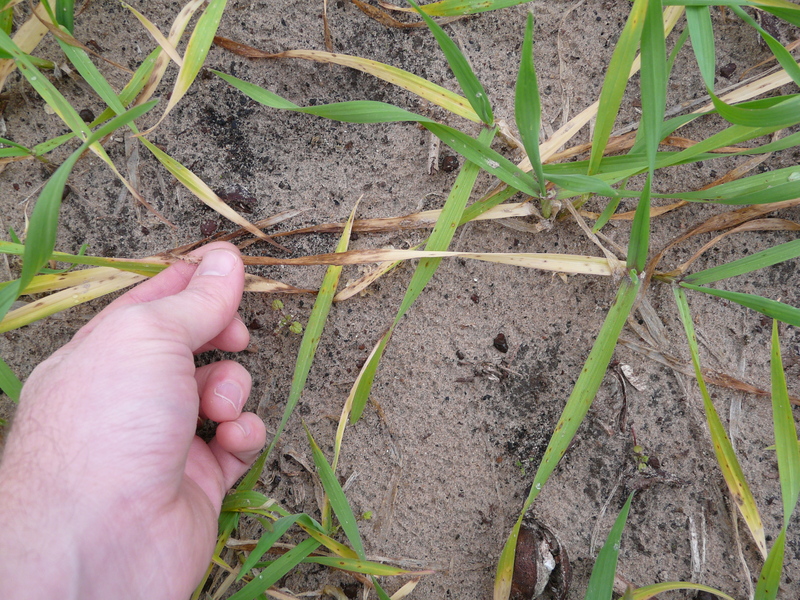 Rain just after dusting in a crop can also cause crusting which will keep wheat from breaking the soil surface. In a normally “dusting in” situation you would plant the seed a little shallower (1/2”) however with the lack of subsoil moisture you will want to go deeper (at least 1- 2”) . Getting the seed to the proper depth will be a challenge in extremely dry soils, so spend a little extra time setting your planter up. We spent lots of time this past week looking at grazing and small grain crops. This photo of triticale above is real common in many fields. 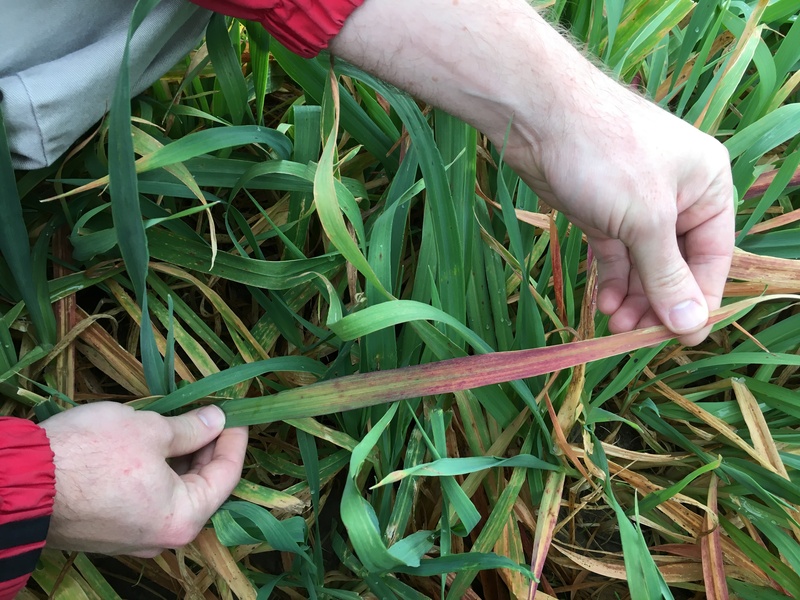 Stripes indicate nitrogen deficiency between former layby rows. 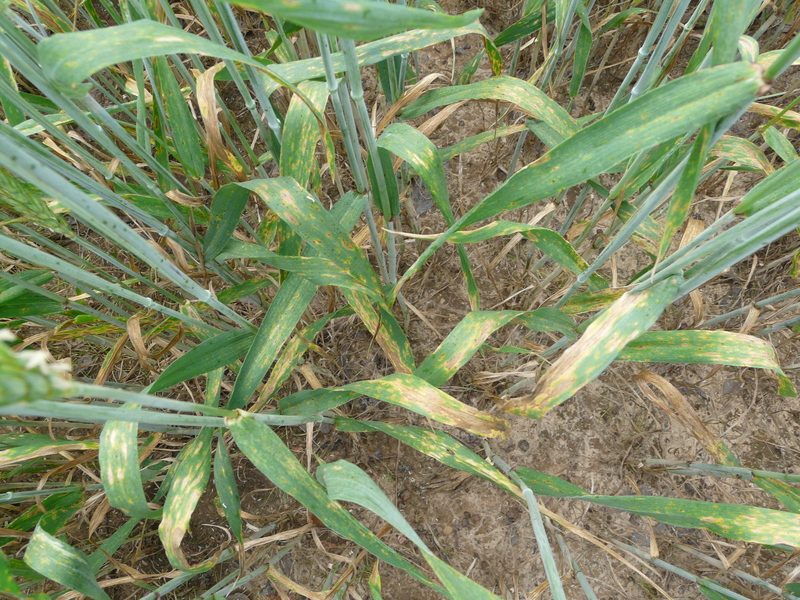 This time last year, we were also seeing affects of barley yellow dwarf virus (BYDV) which is vectored by aphids. Last season, aphids were very bad early (November and December). 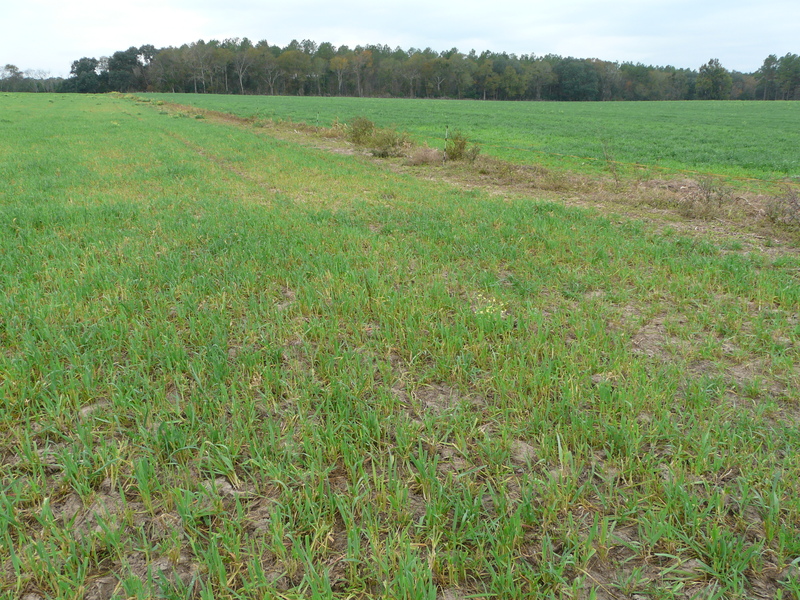 The earlier planting of small grain/forage crops is more likely to contract BYDV based on early aphid presence. The issue is that we must plant our grazing earlier so they are established. Discoloration can mean different things in different situations. 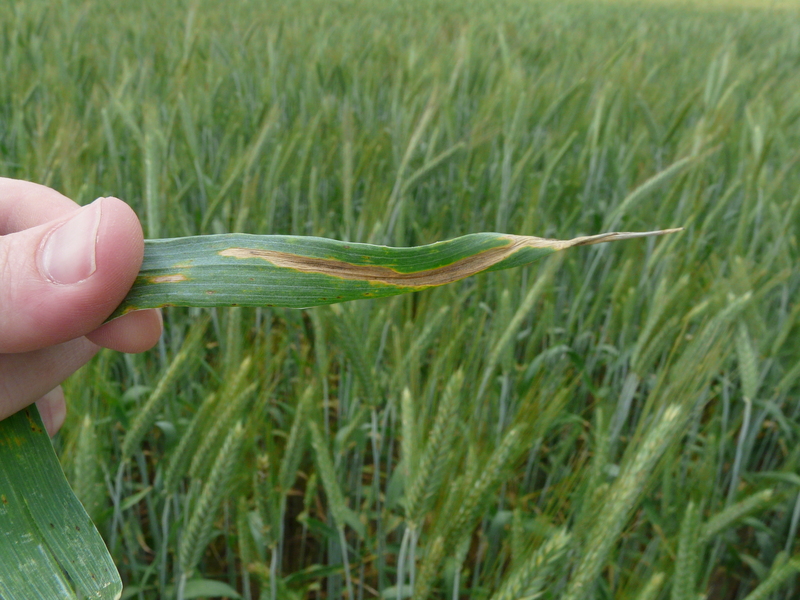 Yellow tips and leaf margins usually mean K deficiency, if N is sufficient. Yellow to tan tips but not leaf margins usually mean cold injury. 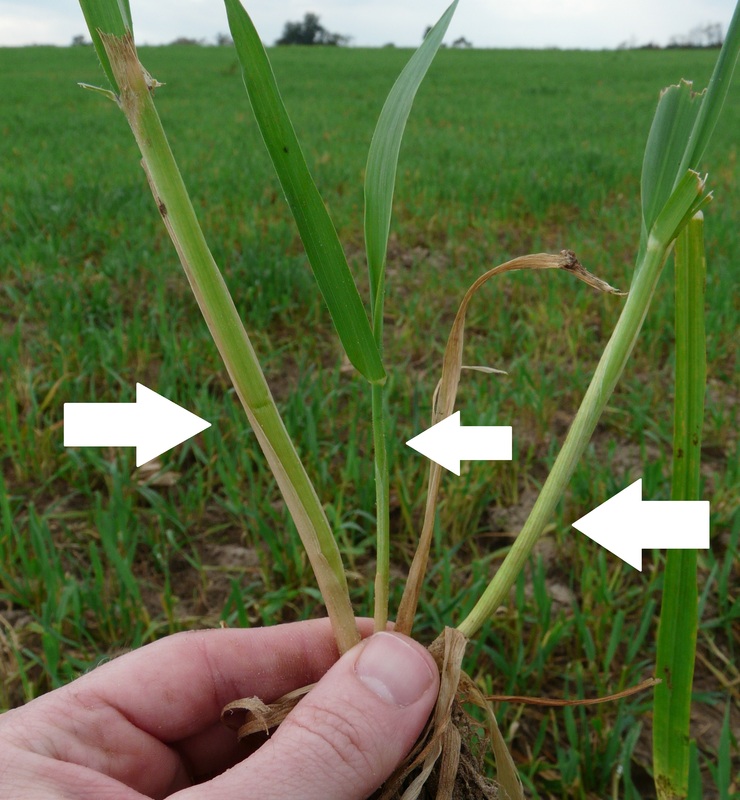 Purpling tips usually means cold injury, but if temps have been mostly mild and we are dealing with susceptible species (oats, wheat, etc. 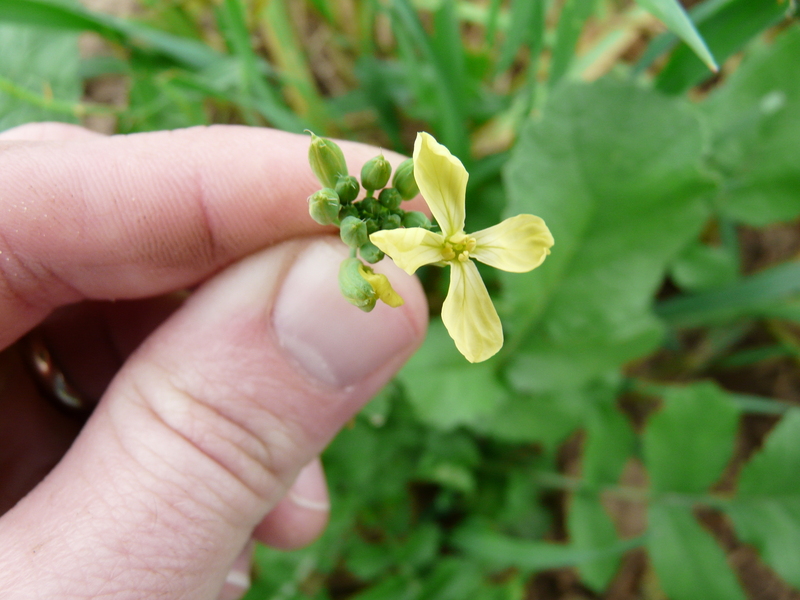 ), then it could also mean BYDV – especially if yellowing extends all the way to the base. Purpling at the base of the plant can also be cold temperature related or it could mean P deficiency. Usually in those situations, it is actually P deficient because of the cold (which slows down mycorrhizal fungi that assist the plant in absorbing P and Zn). Fields have been wet the past 2 weeks, and anaerobic conditions could also be causing problems. Growers have been sidedressing when fields have been dry enough. Looking over the past month, some fields are looking better. With most of our peanuts out of the ground, we’re looking at putting in cover crops with talk of an El Niño year. 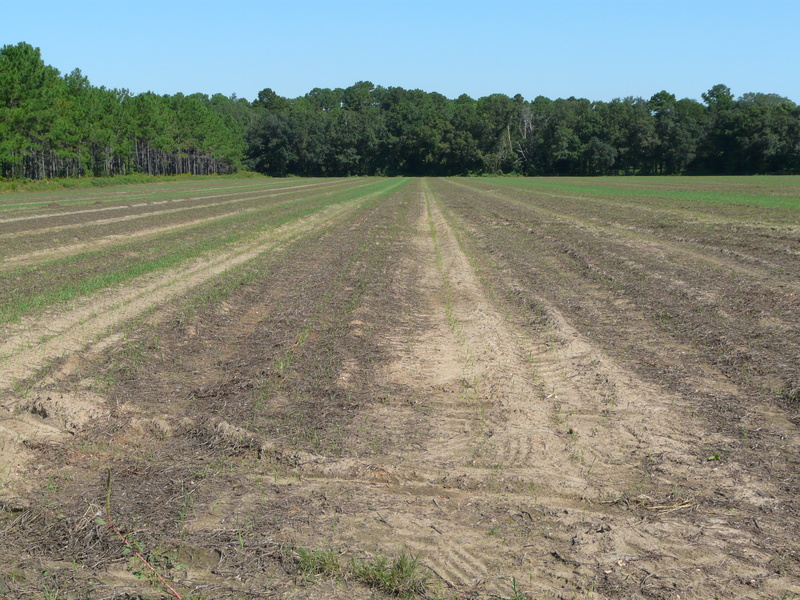 UGA Extension Soil & Fertilizer specialist Dr. Glenn Harris answers the question: Should we give that cover crop which follows peanuts a nitrogen (N) credit (lower than normal N fertilization) since our peanut harvest was good? 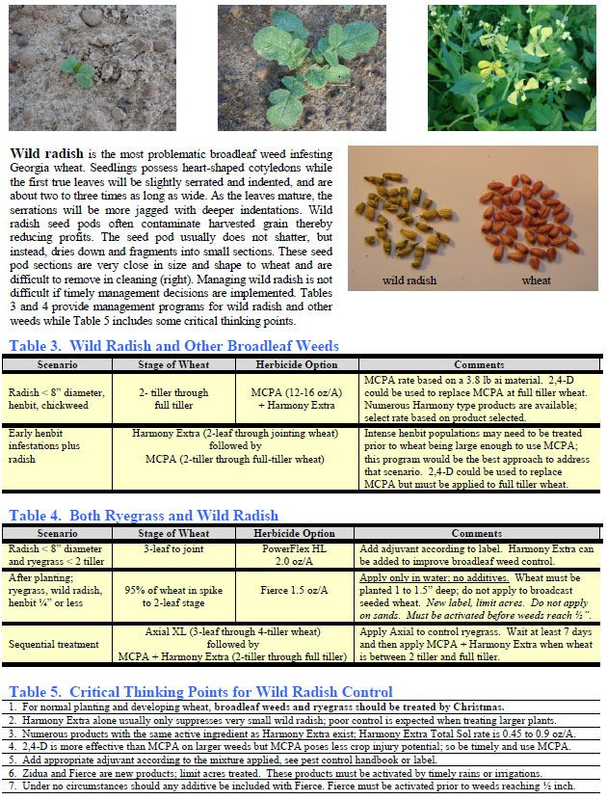 UGA Extension recommends 20 to 40 pounds per acre credit to a cover crop after peanuts. 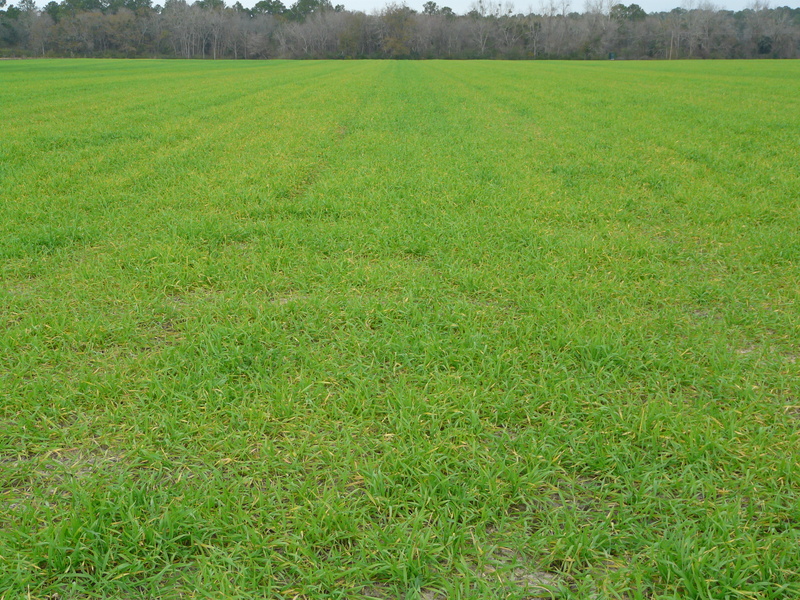 UGA Nitrogen recommendations for Rye, Wheat & Oat fall planting are 20 to 40 pounds per acre at planting following peanuts and another side dress application in February are the standard nitrogen recommendation in Georgia.